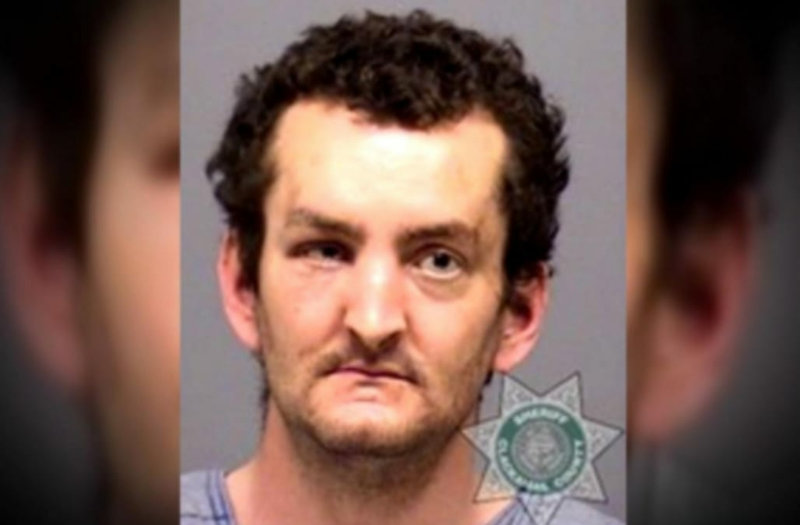 A scene straight out of a horror movie unfolded in an Oregon grocery store on Sunday night when a man who was covered in blood, holding a knife and a severed human head walked inside the building and stabbed an employee. According to KGW, officials say 36-year-old Joshua Lee Webb entered the Thriftway Harvest Market in Estacada at 2:15 p.m. He allegedly attacked Michael Wagner with a knife before being tackled by other store employees who held him down until police arrived. Joshua Lee Webb, 36, charged with murder and attempted murder, is shown in this booking photo from Clackamas County Jail in Oregon City, Oregon, U.S. on May 15, 2017. Sandy Police told the station that Wagner was taken to the hospital and is expected to survive. Authorities believe that Webb may be behind a murder that occurred earlier that day 10 miles away from the store, KGW reports. At 2:35 p.m., an unknown person called 911 to say they found the body of 59-year-old Tina Marie Webb inside a home. Authorities believe Joshua Lee Webb was in possession of her severed head during the attack in the grocery store. Tina Marie Webb was Joshua Lee Webb's mother. The incident happened on Mother's Day.